AT&T has reached an agreement with Atlantic Tele-Network Inc. (Alltel) to acquire the company’s US retail wireless operations for $780 million in cash. Included in the package are the rights to Alltel’s wireless properties and licenses, network assets, retail stores and approximately 585,000 subscribers, according to a press release issued earlier today. We are told that the acquisition includes spectrum in the 700MHz, 850MHz and 1900MHz bands across six states – Georgia, Idaho, Illinois, North Carolina, Ohio and South Carolina. The deal will extend the reach of the nation’s second-largest wireless carrier into rural areas where they don’t have very many existing customers. AT&T has roughly 106 million subscribers nationwide as of writing. The deal will still need to get the final stamp of approval from the Federal Communications Commission and the Department of Justice, however. Pending approval, the sale is expected to close sometime in the second half of this year. Existing Alltel customers will soon have access to AT&T’s nationwide 4G network as well as a larger selection of mobile devices and more retail locations. 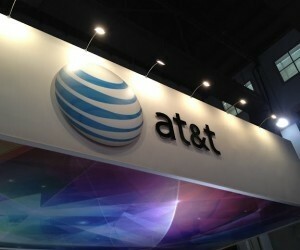 Alltel CEO Michael Prior said a number of the company’s employees will benefit from new career opportunities at AT&T. If you recall, Atlantic Tele-Network purchased Alltel from Verizon Wireless back in April 2010 for $200 million. The parent company spent an extra $85 million to build out the company, according to Prior. He sees the sale as a strong return on their investment, noting that now is the right time to enter into the transaction.